Over the last 50 years, Cliffside Windows has worked hard to establish its reputation as a trusted local double glazing business. 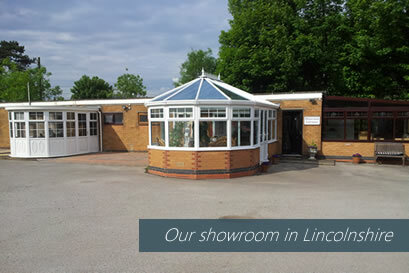 We’re Lincolnshire’s longest trading manufacturers and installers of double glazed uPVC products. Through our unique, specialist experience we have identified the products our customers want – high performance, low maintenance, long-lasting and affordable uPVC windows, doors and conservatories. Whether you’re looking for a new front door, a stunning conservatory or a houseful of replacement windows, we can offer you a comprehensive quote which includes our supply, fit and aftercare service. We also supply and install for commercial projects, such as fitting new windows in schools and council buildings, in every sort of building across Lincolnshire. Our professional fitters work efficiently to install your new uPVC double glazing or roofline products – you’ll only be more impressed with the final result. The Cliffside team is courteous and punctual. Our installers fully check every installation and tidy up after, leaving you ready to enjoy your new double glazing. Want to learn more about us? Give us a ring on 0800 9700 190 or send us a message for more info about our double glazing products and services. Or you can also visit us in our double glazing showroom!